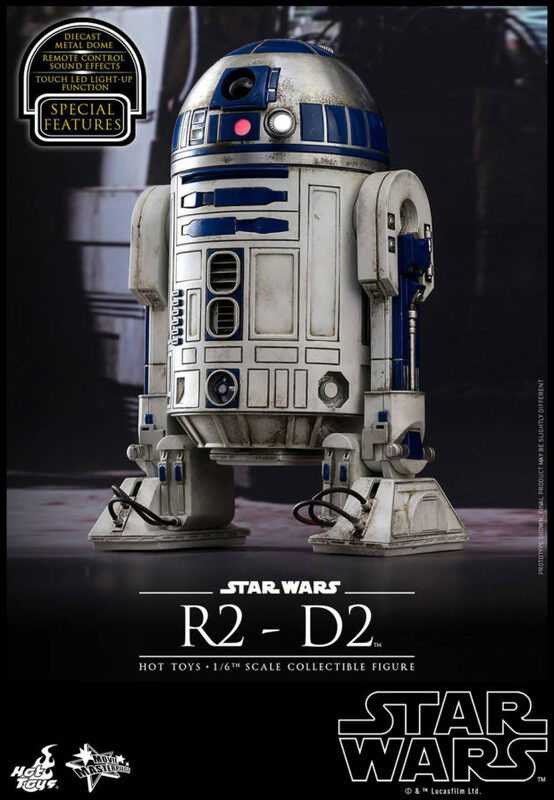 I’m sure you guys have enough R2-D2s to form a larger mega-droid, but Hot Toys is adding one more Artoo to your collection. 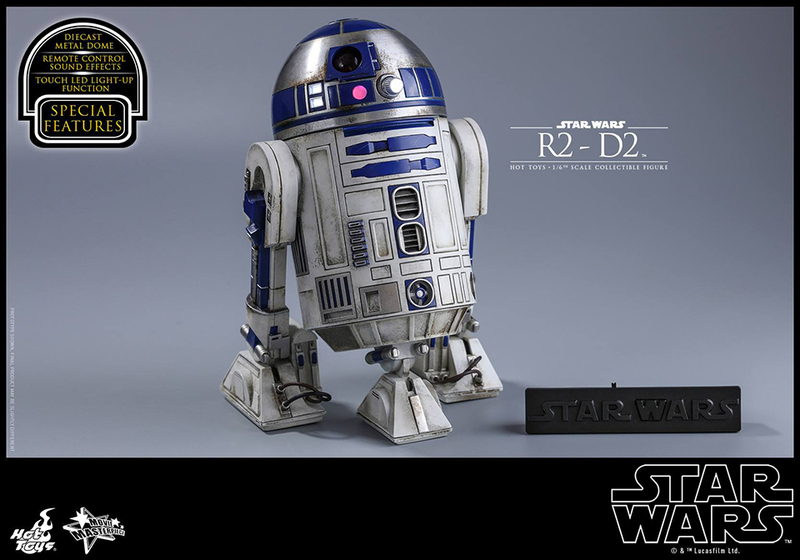 This sixth scale action figure is based on R2-D2’s appearance in Star Wars: The Force Awakens. 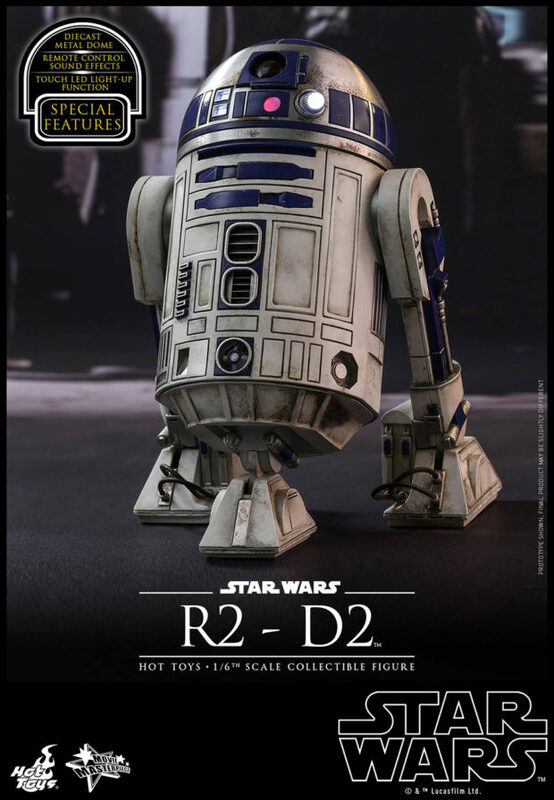 Even though Artoo spent most of the movie sleeping and the most of his time awake as a deus ex machina, this figure does have a few stand out features. First and foremost is its sound effect feature, which you can activate via a remote control. 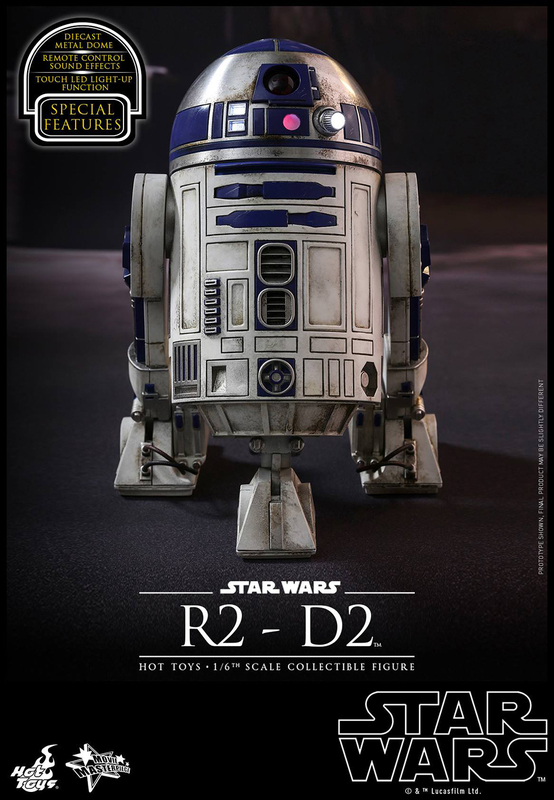 There are 12 sound effects built in; you can hear some of them in Hot Toys’ Facebook post below. 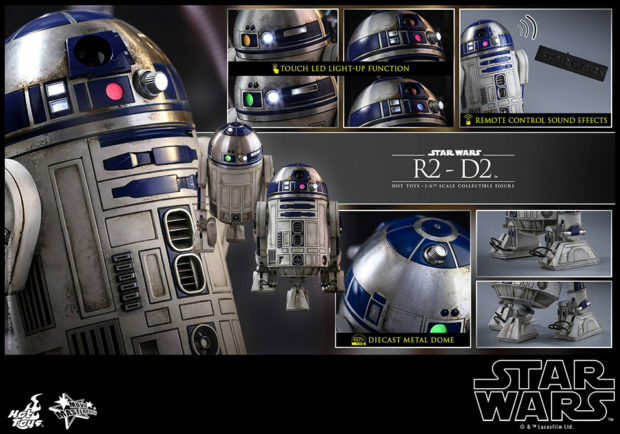 The figure also has a touch-sensitive portion for toggling its LEDs on and off. 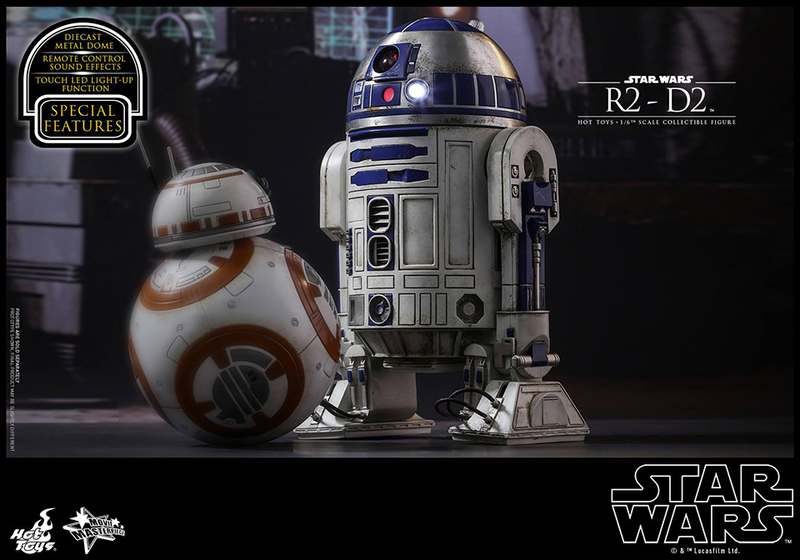 Finally, its dome is made of 60% die-cast metal for an even more authentic look. 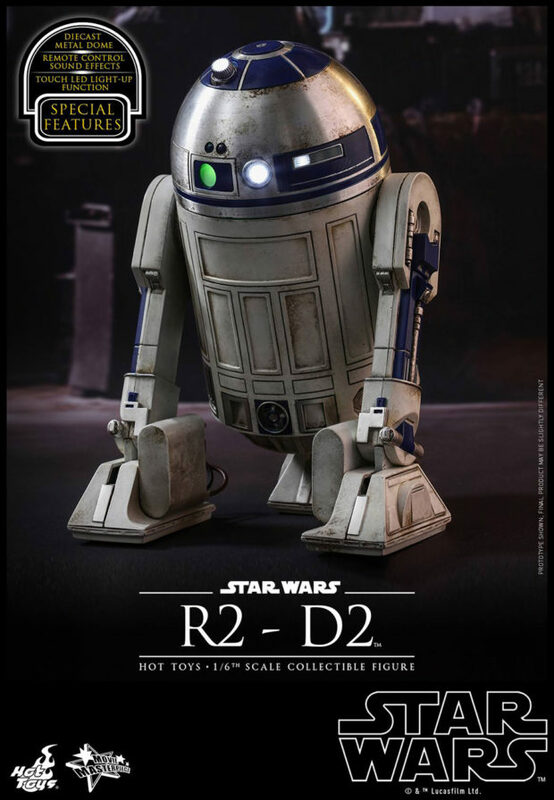 You can pre-order the action figure from Sideshow Collectibles for $220 (USD).